Want a free and easy printable set of place cards for your Thanksgiving table? Here is a cutting file for your Silhouette that combines printing the card and overlaying a pretty fall leaf. Or you can just print the entire thing. 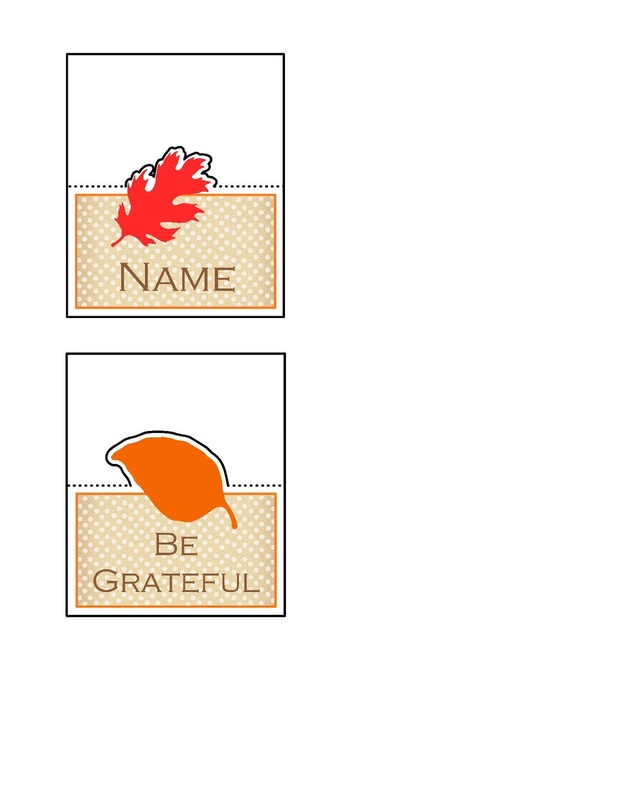 (just be sure to select "No cut" on the leaf image) You can also edit the name or stick with the "Be Grateful" sentiment. The choice is yours. The black lines do not appear in the download, I just added them to the image to make it easier to see so you could actually see the cutting lines. The cards fold into a tent with the leaf sticking out the top. Here is the silhouette download.